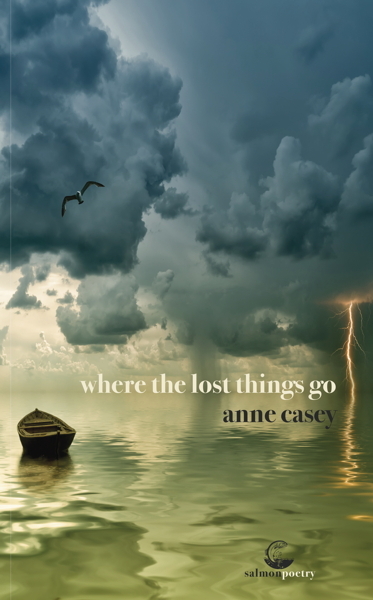 where the lost things go traces the experience of losing oneself through life’s most formative journeys. Fly back and forth through four decades in narratives bridging the west of Ireland and Australia – buffeted by grief, betrayal and dislocation; gliding on hope and love. Feel the weight of emptiness in the emigrant’s baggage; the displacement of the Nowhere people who leave but perhaps never fully arrive; the loss at returning ‘home’ to find the essence of what that means – people, places and credos – has slipped away in your absence. This collection is about letting go of your concept of ‘home’, moving through loss, embracing hope, and finding yourself somewhere in between. Are we, after all, mostly the sum of what we gain from all our losses? Anne Casey’s poems have been published in The Irish Times, The Murmur Journal, The Incubator, Other Terrain, Backstory, Into the Void Magazine, ROPES Literary Journal, The Remembered Arts Journal, Dodging the Rain, Tales from the Forest, Luminous Echoes: A Poetry Anthology, Deep Water Literary Journal, The Blue Nib, Visual Verse: An Anthology of Art and Words and Thank You For Swallowing, among others. Anne passionately believes that every poem, like all art, should leave you changed by the experience. Her poem, “In Memoriam II: The Draper,” was the fifth most-read item – across all categories – in The Irish Times on the day of publication, and resulted in a furore of social media commentary. She was shortlisted for the Cúirt New Writing Poetry Prize in 2017 and the Bangor Poetry Competition 2016. Originally from the west of Ireland, Anne lives in Australia. She has worked as a business journalist, magazine editor, corporate and government communications director, author and editor. Anne holds a Law degree and qualifications in Communications. “Would you want me to…?